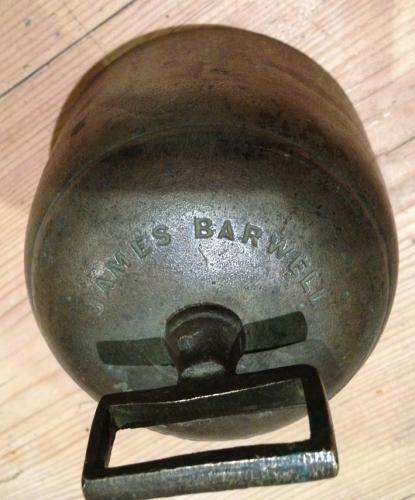 Rare Large 4 inch bronze Cup Sheep Bell marked 'James Barwell No 01 4 IN'. Probably largest size bronze cup sheep bell made as have never come across one larger than 4 inches. Very nice to have the bellfounder marked on the top of the bell. Condition good and rings true with original clapper.